The concept of ‘divide and conquer’, derived from the Latin phrase ‘Divide et impera’, was put into use effectively by everyone from Caesar to Napoleon to The British in India. Even Gaddafi tried using the same but as current events show us – he wasn’t very effective. 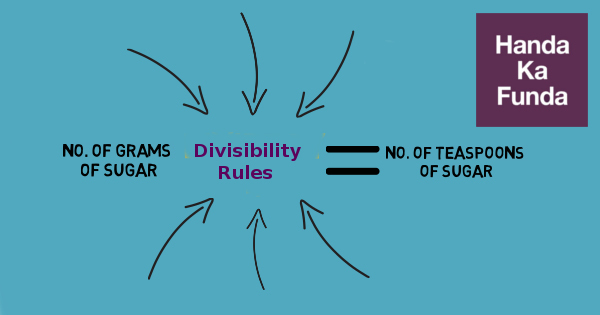 Dividing rather divisibility rules to be specific can come in really handy at times in solving problems based on Number Systems. The standard rules which nearly all of us are very comfortable with are the ones for 2n and 5n. For these all that one needs to do is look at the last ‘n’ digits of the number. If the last ‘n’ digits of a number are divisible by 2n or 5n, then the number is divisible by 2n or 5n and vice versa. For details about other numbers, I suggest that you read on. For checking divisibility by ‘p’, which is of the format of 10n – 1, sum of blocks of size ‘n’ needs to be checked (Blocks should be considered from the least significant digit ie the right side). If the sum is divisible by p, then the number is divisible by p.
Also, N is divisible by all factors of 9. Hence the same test works for 3. Also, N is divisible by all factors of 99. Hence the same test works for 9, 11 and others. Also, N is divisible by all factors of 999. Hence the same test works for 27, 37 and others. For checking divisibility by ‘p’, which is of the format of 10n + 1, alternating sum of blocks of size ‘n’ needs to be checked (Blocks should be considered from the least significant digit ie the right side). If the alternating sum is divisible by p, then the number is divisible by p.
Also, N is divisible by all factors of 1001. Hence the same test works for 7, 11, 13 and others. Step 2: Remove the last digit and multiply it with the seed number. Step 3: Add the product with the number that is left after removing the last digit. Step 4: Repeat Steps 2 and 3 till you get to a number which you can easily check that whether or not it is divisible by p.
Eg: Check whether 131537 is divisible by 19 or not. I hope that these divisibility rules will enable you to divide and conquer few of the Number Systems problems that you encounter during your preparation.